As the economy sings a dark song, it is time to wear a garb of cheer. Not to dwell on our duels, but to look at ways out of our well of troubles. They are mounting, and it is time to close ranks, to think of new paradigms for prosperity. The price of oil, for all its new promises, cannot give us the loose change of the past, even as the change mantra loses its birth aura. We are talking up a diversified economy. The Buhari administration has dangled the virtue of the farmer. We should become, again, earthbound creatures, tilling the ground, growing the crops, storing them and minting money from them as manufactured goods. We also have minerals: gold, lead, bauxite, kaolin, coal, etc. Some countries disgraced oil in public as a platform of wealth. Japan with technology and its continental shelf. Switzerland as a model of innovation as a chocolate giant without a cocoa farmer. Jordan as a rotund and oil-less island in a Middle East awash in black gold. It shows that wealth does not rely on resources but on the sources of the imagination. We have seen a few such silver linings in Lagos, where fiscal genius has turned a city state of a few millions not only into a national experiment and an oasis of fortune, but also as an economy all its own in Africa. The emphasis on the earthbound farm is important. We sometimes forget the fisherman and all that water offers. But when we do, we think in Shakespeare’s words, “fishes live in the seas, as men do at land; the great ones eat up the little ones.” We get the fish, and we are all done with the water. But there’s more. We have also seen the Customs unit as a veritable revenue earner, a fruit of anti-corruption war. Yet the sea and waterways offer more to us, and we need to look at how we can turn them into goldmines. And that refers to the work of the Nigerian Maritime and Safety Agency (NIMASA). It is a sure source of revenue in an age of diversity. It has suffered in the recent past from the surge of corruption and ignominy, and its value today comes into reckoning with the emphasis on a new source revenue. For too long, the relationship between the NIMASA and the sea has been like Hemingway’s immortal novel, Old Man and the Sea, in which the old man works the sea, earns a big catch and gets to shore alive without its big prize. The shark hacked away at the big fish with only its stark skeletons for the old man. We want a sea of flesh, not bones of misery. 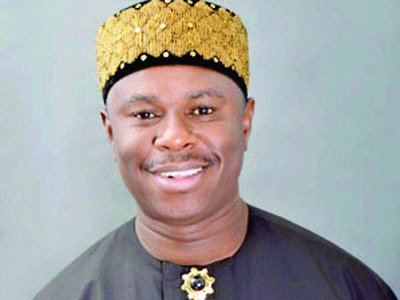 Over the years, NIMASA’s revenue has dropped by 51 per cent owing to the ravages of the oil industry and the diminished vessel traffic on our high seas. Of course, the background to this bad news has been a wave of corruption. It’s time to realise this great prize, and the wealth of the seas. But it has first to achieve two things. One, it has to enjoy an improved air of safety. Two, it has to operate in line with the rule of law. Just as we need safe land to do business. The sea, which is the platform of maritime prosperity, must be secure. We have, for land prosperity, revved our guns at the militants on land, in the Northeast and parts of the Niger Delta. It is only in the contest against the crimes of the seas that we can make cabotage laws rule. Cabotage refers to the dynamics of sea trade from port to port, both nationally and internationally, but more of the latter in our case. This is a source of major foreign exchange, also in an age of diminishing Naira against world currencies. For the Naira to rise, we must ensure a free fall of sea gangsterism. Under its new helmsman, Dakuku Peterside, a new energy has turned on the agency, and it should be watched. It is what I can call the bird’s eye of the mermaid. It has unleashed two things. First is the intelligence capacity. The point is to track all vessels, whether oil vessels or the small river-craft, to ensure that Nigeria knows all who sail on our waters. This way we cannot only reduce maritime crime, we can also document what businesses are going on illegally and fleecing our money. It has also installed radars in Lagos, Bonny and Forcados. It has stepped up engagements with the Navy, Marine Police and Immigration. The revenue decline also means that a lot of money is being lost to debtors. Just like at the national level, we need to draw our debts. Some of them were done in murky circumstances. With a new string of consultants, Peterside hopes to restore such lost revenue while opening the way to new ones. But to achieve this, it has also kept tabs on the vessels to ensure compliance with the Cabotage Act, update its register and pursue the goal of 100 per cent local content in ship building, but our aluminium and steel industries lag lamentably. With the rule of law, sabotage will yield to Cabotage. The billions of dollars in potential revenue means the Buhari administration has to turn its eye to the work of seas even as we focus on the farmer. We love the farm; but we shall not live by the farm alone. Some good work is going on in that direction as the alpha governor, Akinwunmi Ambode of Lagos State, has stepped up its tie-up with Kebbi State. To succeed, NIMASA will work as a mermaid with a bird’s eye. Mermaids do not work in shallow waters. But a mermaid with a bird’s eye sees the deep and shallow water, and can show the strength to make NIMASA and Nigeria glory in the “full sea,” as the Bard of Avon puts it. This is the task before Peterside, and the former lawmaker and works commissioner has staked out a claim of a doer. The APC chairman, Odigie-Oyegun, has earned the title of an interloper. He dipped his dirty hands in Ondo politics as a fraud. Then he said he was focusing on Edo governorship election. In a free and fair contest, he stumbled and fell in his own polling unit. That’s a basic disaster, or home trouble. The physician could not heal himself, his own people, and he wanted to heal a whole national party. What a way to be demystified. Politics, they say, is local. He wants to be a giant who has nowhere to stand. He failed at home, how can he win confidence outside except by fraud. He, a political orphan, should stop sharing in Edo success. The credit goes to Governor Adams Oshiomhole and governor-elect Godwin Obaseki, who worked like a Trojan with a dedicated team. Odigie, silence please! You do not know dedication. Also, the following stone-age men should retreat to their clay huts: Tony Anenih, Tom Ikimi, Igbinedion, et al, especially the men with “T” first names, the tees of failure. They, as well as the Igbinedions, are Neanderthals of Edo politics. Their political beards have withered to pale and their hairs have disappeared with their elderly wisdom. The Edo people voted against a past that did not work.